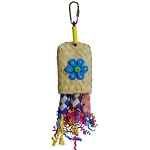 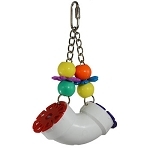 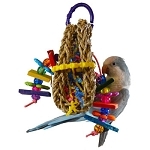 Foraging toys are devices that require birds to work for their food. 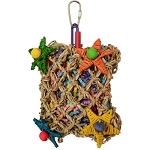 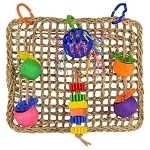 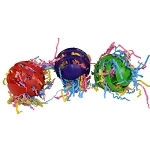 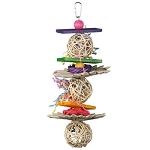 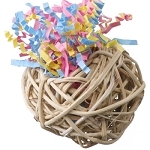 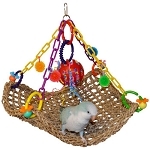 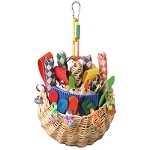 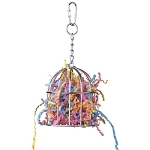 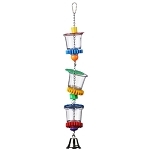 There are many types of foraging devices available including skewers, treat cages, vine balls, corn toys and puzzle toys to name a few. 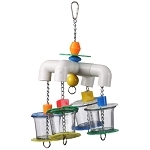 Most require some level of manipulation or puzzle solving to uncover and remove the food such as turning, pressing levers, rummaging, opening lids, tearing and shredding materials or unscrewing hardware. 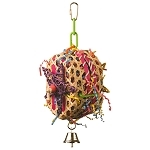 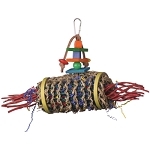 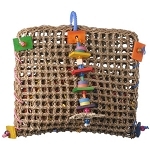 Foraging toys should be placed at a variety of levels throughout the cage to encourage movement and exploration.